This was the first book I have read by Eloise James and did not know when I originally signed up to review the book that it was part of a series. That said, I will absolutely be going back and picking up the series at book one and this book could definitely be read as a StandAlone. It is clear that we missed out on one relationship but nothing is given away you will still happily be able to go back and pick the series right up with out missing a beat. Widowed Lizzie is falling deeper and deeper in to self exile after her husband's death and no it's not because she is sad he's gone in fact good riddance. The damn man was found dead in the bed of his lover leaving poor Lizzie not only a widow but a virginal widow and deeply ashamed of her self and convinced she could never either make a man happy nor want to. I loved Lizzie! She's a bit of a feminist in a decidedly un-female friendly era. 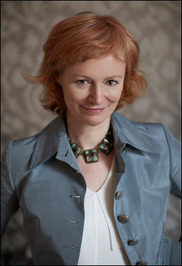 She is a great reader (another aberration for the time and something that makes me love her all the more), she's intelligent, kind, and even though she doesn't feel she has he trait, quick witted. Into her depressed state walks the handsome, quiet spoken, gentleman who has a history of bad behavior and the bearing of man who is fighting his past rakish behavior and striving to be a man that his niece and others can look up to. "Lizzie's understanding was that polite society was made up of people treating each other in astonishingly impolite ways." I really enjoyed all the characters (minus perhaps Lizzie's father, of course I wasn't a fan of either Shady Sadie or Lizzie's deceased husband, but none of them play a large role in this story), the banter between characters kept me laughing, the love between the families as sweet, the courtship though fast between Lizzie and Oliver never felt contrived or ingenious. These are people you would have wanted to know and a society you would have throughly enjoyed, I mean who doesn't want to play rousing (which my auto correct tried to turn into arousing and if you read the story you will know why that is quite apropos, haha) game of cricket in the house. This was a light, fun, sweet, a bit heartbreaking, but also heart warming love story. It's novella length so you will get it read quickly and if you haven't read the series before now you will want to start one clicking right away. If you have, I think this will give you jus the little hit of historical romance you need while you wait for more! 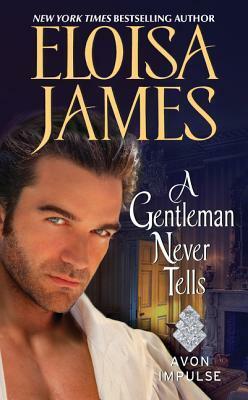 A Gentleman Never Tells is a wonderful read for any fan of Romance in particular Historical Romance.